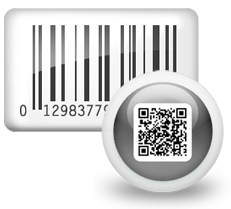 Choose Barcode technology, data source(manual or batch processing) and font type. 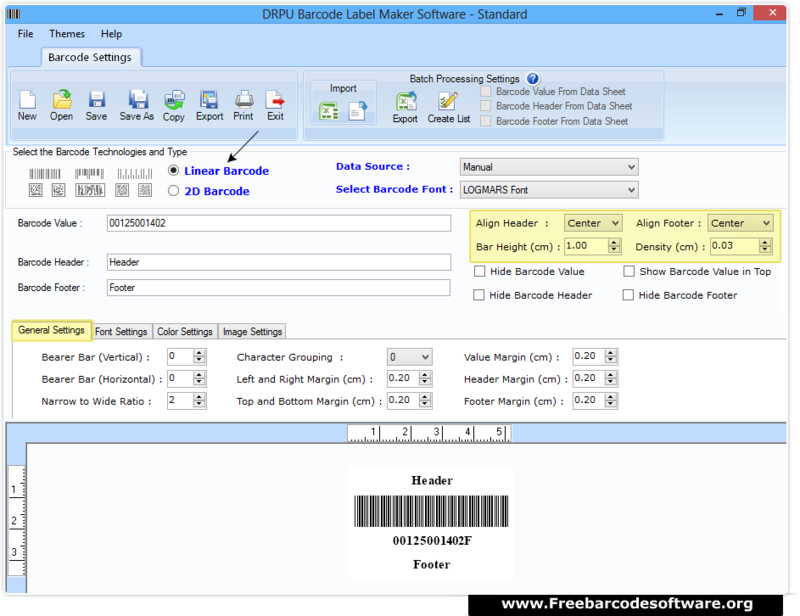 Enter Barode value, header and footer and set barcode alignment, height and density as per requirement. 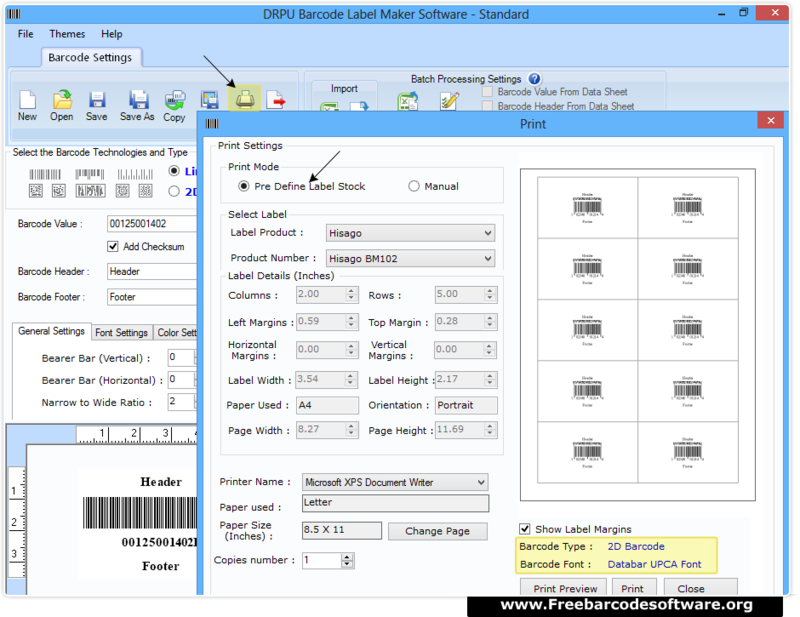 After creating your barcode go to print option from tool bar and select print mode(Pre Define Label Stock or Manual). “Print preview” facility is also available to avoid mistakes.